QuickBooks is an accounting software that makes data collection and presentation, payment of bills, generation of invoices etc. easy and hassle-free. Money management becomes extremely trouble-free as it allows the users to enter due dates and payment information for all recurring bills. It also allows customers to be billed individually or in large batches. Its interface is immensely user-friendly as well. There are two versions of QuickBooks; online and desktop. Quite obviously, the two are not the same. While QuickBooks Online requires a monthly fee and a sturdy internet connection, QuickBooks Desktop is one – time purchase. If you import data or upload data from one version to the other, it might result in some error. Why customized access and permissions are important? Managing Users and QuickBooks Permissions in either of the two versions is not very difficult. By assigning customized access to sales representatives, office managers and other types of employees and partners, you can set robust roles and QuickBooks user permissions so that your data stays secure. An action like this can safeguard your data from unwanted users. In this article, we will see the differences in the methods to be followed in QuickBooks Online and QuickBooks Desktop. Note: An email will be sent to the new user wherein using the link provided, wherein he/she can create their user ID and password if they do not already have one. Select Change on the top right. Choose the type of access you would like the user to have and select Next. Select Finish and then Save. Choose Manage Users. Choose the name of the user to whom changes have to be made. Select Edit. Make the necessary changes then select Save. If you are, however, using the new interface, under the action of adding a new user, you need to select the tab Add User after selecting Manage Users. Also, when you are adding a regular or custom user, you need to set the user settings before finishing the action. For the other actions such as deleting the user or changing the access rights, you will have to choose the respective action from the Action drop-down box. This way you can effectively organize QuickBooks Online manager users. Select Company Gear. Select Manage Users and then New. Select the user’s access rights that you would like the user to have. Now, choose if the user needs Administrative Rights in order to be able to view or edit company preferences or view and manage the billing operations. Finally, invite the user by adding the user’s email address. In the Company Menu, select Set up Users and Passwords and then Set Up Users. Choose Next. Select which area of QuickBooks the user has access to. Select Next. You can customize the restrictions according to what you want by selecting No Access, Selective Access or Full Access. Finish when done. What to do in case of the ‘warning’? In case you get the warning that you do not have sufficient permissions to the specified folder, this error can be caused by several problems such as the file being set up in a protected location, folder permissions were not set up properly et cetera. Different solutions are recommended depending on the kind of the problem. Usually, running QuickBooks File Doctor does the job. So, we can see that the operations are slightly different in the two versions albeit, they are both equally good. Which one you choose to work with depends on your comfort and understanding of the technicalities. 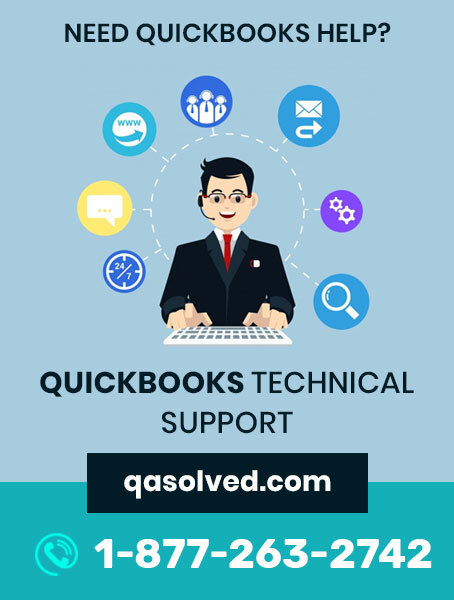 For professional support, get in touch with our QuickBooks Error Help & Support Team at 1-877-263-2742 toll free number and speak to a Certified QuickBooks ProAdvisor. Thank you for visiting our site. We are always ready to help you with any of your queries related to QuickBooks. We feel glad helping you, and you are always welcome over here on this platform. Further, if you ever feel the need of taking advice from your fellow business owners that happened to be our existing subscribers, you can visit our thriving QuickBooks Community. Still, if you do not find an answer for your specific question within the community. In that case, you can also post your question in the community to get the requisite answer from the contributing members.